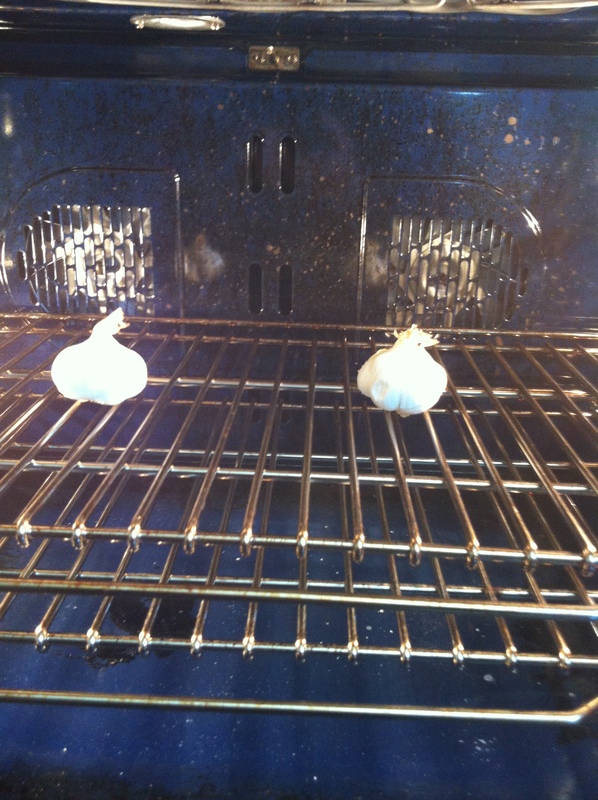 1) Preheat oven to 350 F. Put Garlic bulbs on oven rack and roast for 30-40 minutes, until they are soft when squeezed. Remove from oven and let cool. 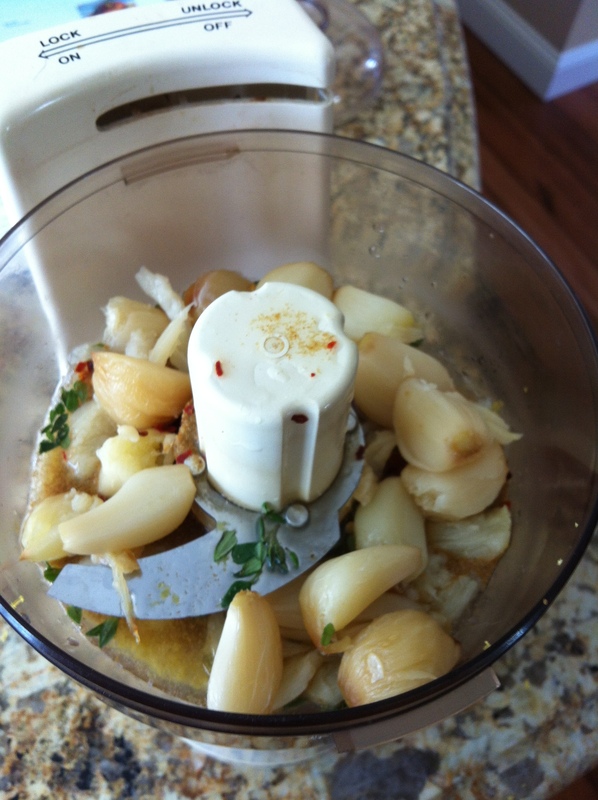 2) In food processor or blender add lemon zest, lemon juice, roasted garlic, thyme leaves, cumin, crushed red pepper, salt, and small amount of olive oil. Puree until loose paste forms. 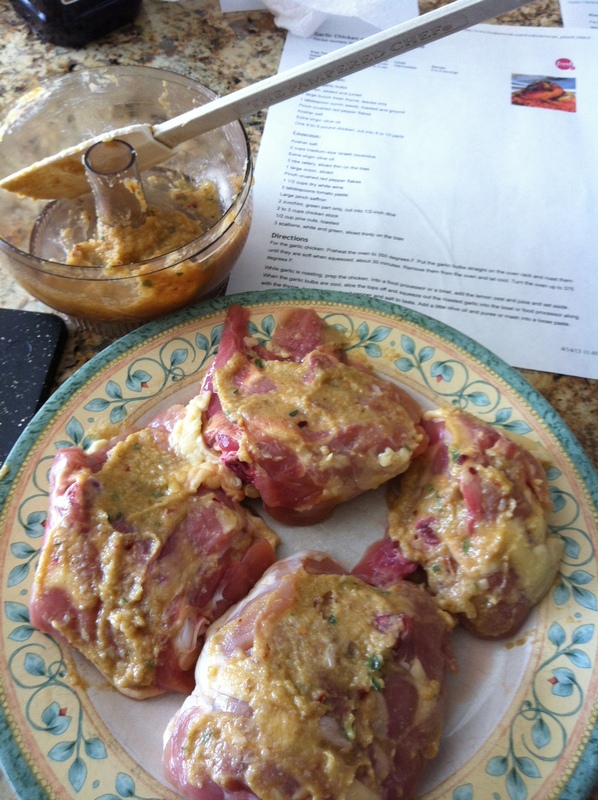 3) Massage mixture over chicken pieces and let sit for 2-4 hours. 4) Preheat oven to 375 F, and bring pot of water to boil. 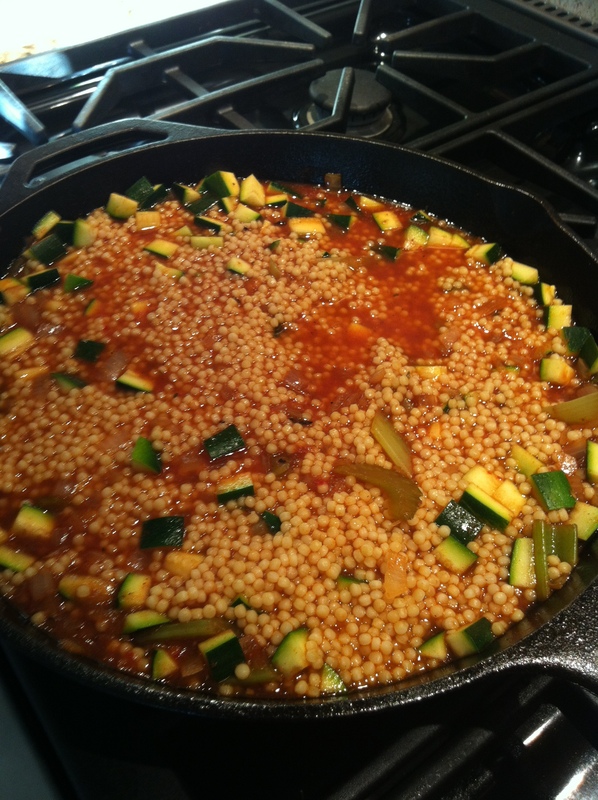 Add couscous to boiling water and cook 5-6 minutes. Drain and reserve. 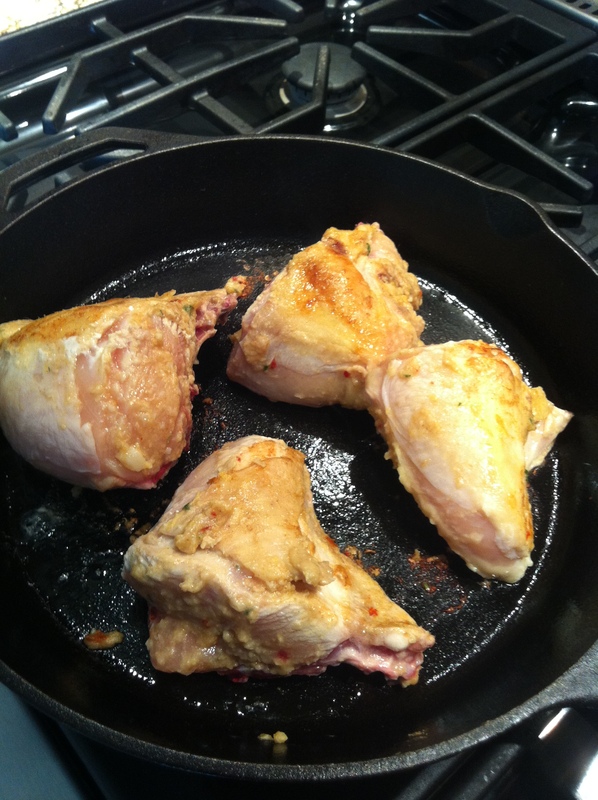 6) Remove chicken and put on plate to the side. 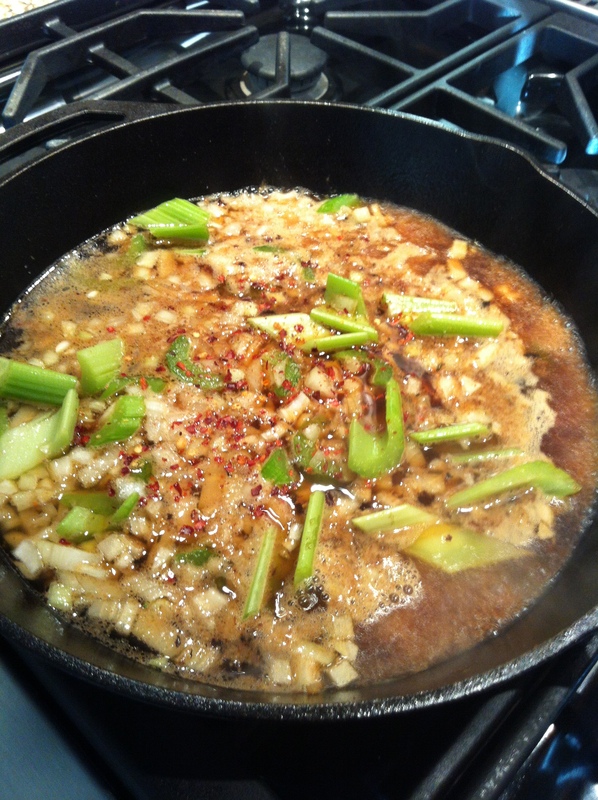 Add onions and celery to pan then deglaze with wine, make sure to scrape up the bits on the bottom of the pan. Stir in some salt and red pepper flakes. Cook 7-8 minutes to reduce wine. 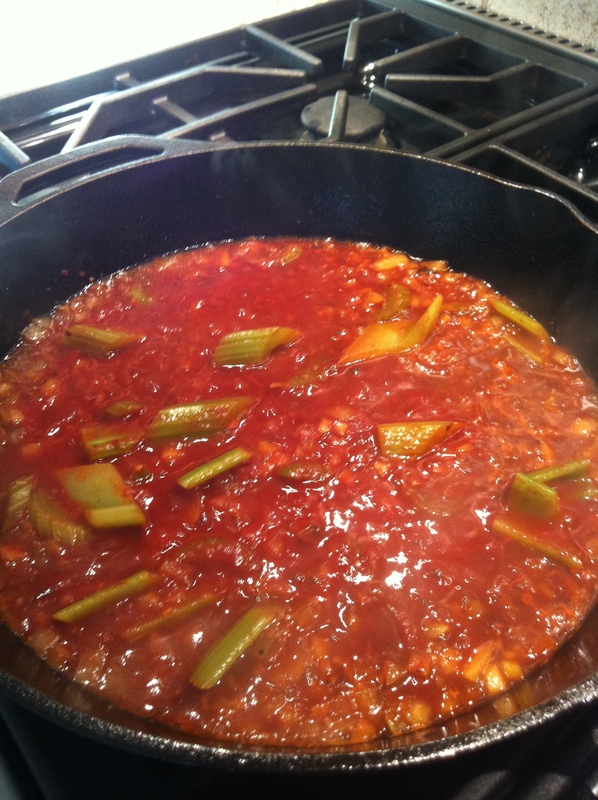 7) Add tomato pasts and cook for 2-3 minutes. 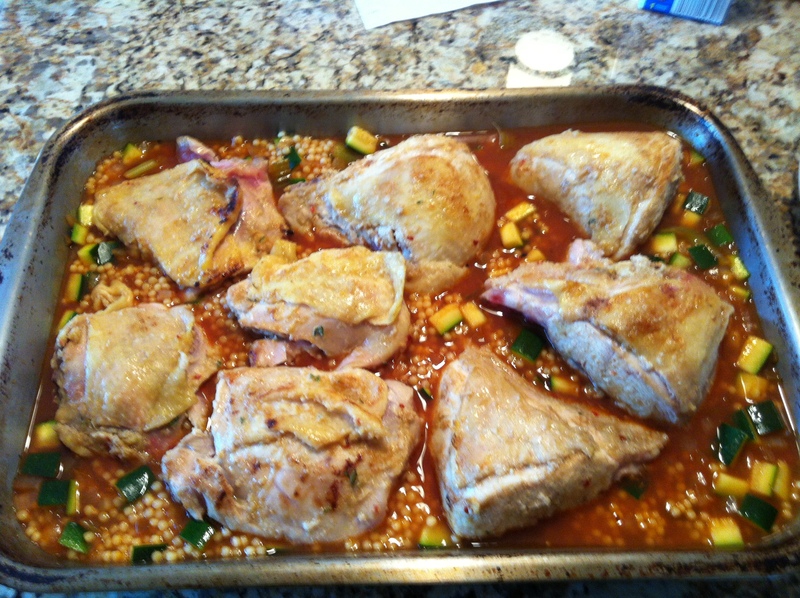 8) Add saffron, zucchini, cooked couscous and chicken stock. Stir to combine then add more salt if needed. 9) Transfer mix to ovenproof pan. 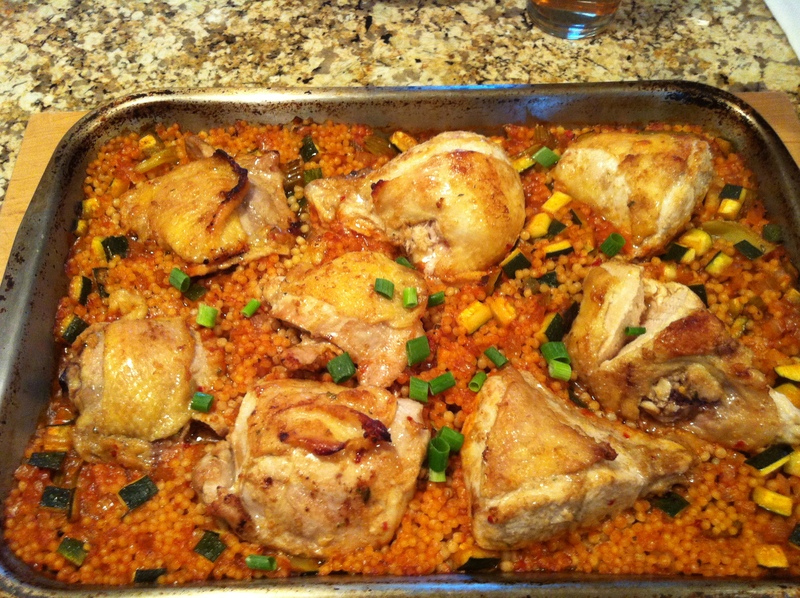 Place chicken skin side up on couscous. 10) Cover pan with foil and bake in oven at 375 F for 25 minutes. Remove foil and bake for another 20-25 minutes or until chicken is done.